Microsoft Virtual Machine Converter 3.0 is here! The Microsoft Virtual Machine Converter 3.0 (MVMC 3.0) is now publicly available and is overflowing with new features. The biggest new feature in MVMC 3.0 is online physical to virtual (P2V) conversion. Supports the new virtual hard disk format (VHDX) when converting and provisioning in Hyper-V in Windows Server 2012 R2 and Windows Server 2012. Supports Windows Server 2012 R2, Windows Server 2012 and Windows 8 as guest operating systems that you can select for conversion. Note Hyper-V must be enabled. 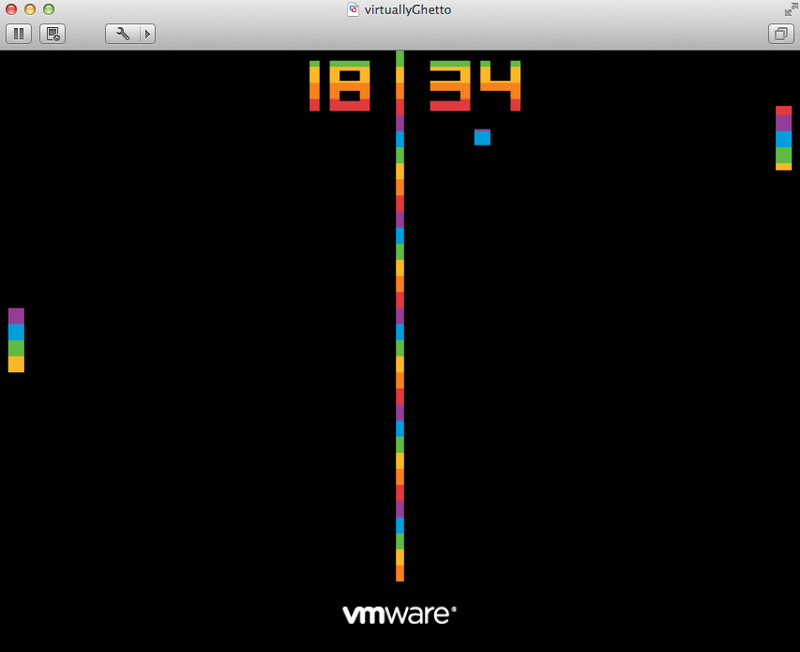 VMware still ships Easter Eggs in vSphere! 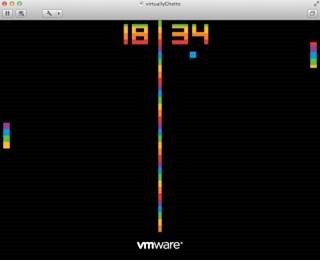 It is not a new thing from VMware to ship Easter Eggs in their products. Numerous versions of vSphere shipped with those. While that may have been cute in 1995, we live in a very different, very connected world where this doesn’t pass muster. Surely, in this post-Snowden world VMware wouldn’t have left Easter eggs in their Enterprise Class, Enterprise Cost vSphere 5.5. I mean, come on, the Pong Easter Egg has been publicly noted and the world is more sensitive about security than ever before. VMware got rid of this right? This still exists in vSphere 5.5 (!!!) and who know what other surprises are in there and what they haven’t disclosed in their security audits. So much for Enterprise Class. This is more like Fisher Price class. This post was adapted from a piece originally written by: Jeff Woolsey, Principal Group Program Manager, Windows Server Virtualization. If you run Microsoft software on VMware, I care about you. Which is why I have dedicated this post for this very important public service announcement. VMware: “Stop Installing our software”: ‘Very critical’ error in vSphere Replication 5.5 can cause irreversible damage! Issued in public interest by yours truly. 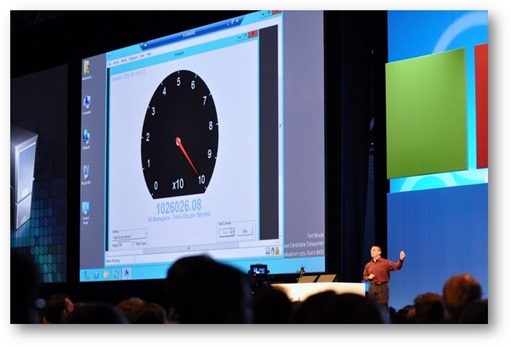 Windows Server 2012 Hyper-V: 1 million IO per second! Jeff Woolsey, Principal Program Manager Lead at Microsoft, shared this glimpse from TechEd Europe 2012 that’s happening right now in Amsterdam. That’s Windows Server 2012 Hyper-V delivering over 1 million IOPs from a single virtual machine! Indeed, a picture says a thousand words. Windows Server 2012: 985,000 IOPS from a single Hyper-V VM! Day one of TechEd North America saw something very spectacular. At the same time, VMware maxes out at just 300,000 IOPs per VM, VMware needs 6 virtual machines to achieve the same feat! Other notable demos during the keynote. 64 virtual processors inside a single virtual machine! Click here to watch the keynote! Windows Server 2012 Release Candidate (RC) marks a major milestone in Microsoft’s foray into the virtualization world. While Microsoft have always been leaders in management technologies, an area where VMware was weak, Microsoft now have the hypervisor which exceeds VMware capabilities. Thought I’d share some interesting information from the recently released Competitive Advantages document. *VDI comparisons were made taking VMware View into account. 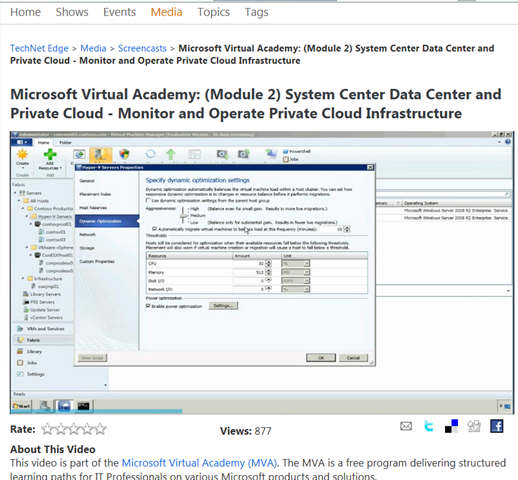 Over the past few days I have been reviewing e-learning content on Microsoft Virtual Academy (MVA). 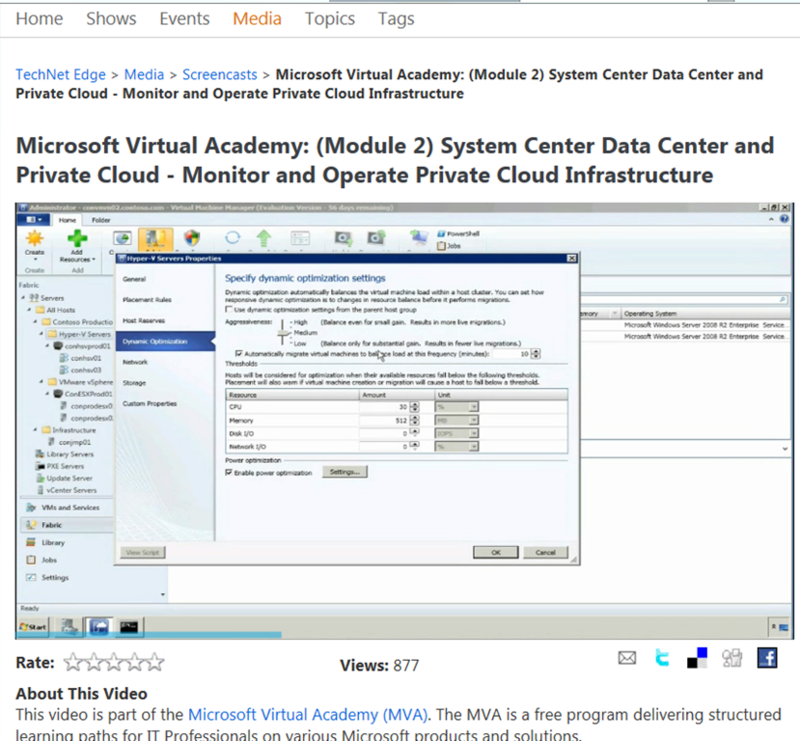 I was amazed by the wealth of training content available on MVA for the Private Cloud. MVA is a fully cloud-based learning experience focusing on Microsoft Cloud Technologies. MVA provides its users with a virtual university experience: the student can select a track and study the material and then do the self-assessment. Students on MVA can get access to all the information, statistics and advancements of their training career, allowing them to maintain a long-term relationship with Microsoft. Learning through MVA is free of charge, and you can study the contents at any time and at your own pace. During the 8 modules of this specialization, you will be introduced to all the elements of building the Microsoft private cloud. You’ll learn how to optimize and deploy the private cloud starting at the infrastructure layer. You’ll also be introduced to advanced virtualization management features and the concept and implementation of the System Center’s private cloud application service model. How using Microsoft System Center 2012 can help you build, deploy and manage a private cloud infrastructure. How System Center 2012 incorporates tools to deploy, update, and manage applications within your private cloud. System Center 2012’s new abilities to deploy, update, and manage applications within your private cloud. How using new components of System Center 2012, specifically the Orchestrator and Service Manager components, enable you to deploy, update, and manage service offerings within your private cloud. 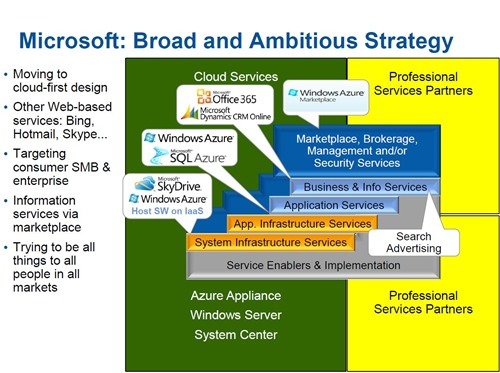 How applications are deployed and managed in the Microsoft private cloud. How to use new capabilities in System Center 2012 to deploy your applications as services. I highly recommend this training for all IT Pros as an excellent means of updating your skills and build your readiness to face new challenges as cloud computing evolves. IDC has predicted that 2012 will be VMware’s last year as ‘King of the Hill’. With Windows Server 8, Hyper-V beats VMware not only in pricing but also in features. Even if VMware brought down pricing, Hyper-V still has features that VMware doesn’t. 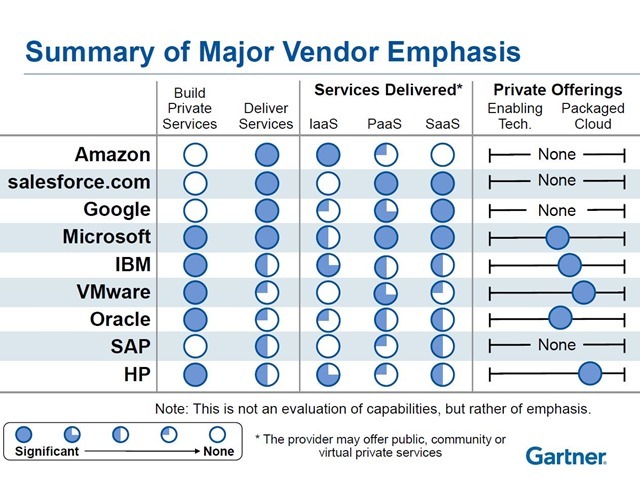 And do not forget that System Center (the current version as well as 2012) has more mature and complete management features than VMware ever had, and the key to meaningful virtualization or realizing a private cloud lies in robust management tools. And don’t forget that System Center (current and future) smack VMware’s “management” products around like a one-legged little person in a heavyweight MMA fight. VMware fanboys and trolls please save yourselves the trouble, comments on this blog are moderated.